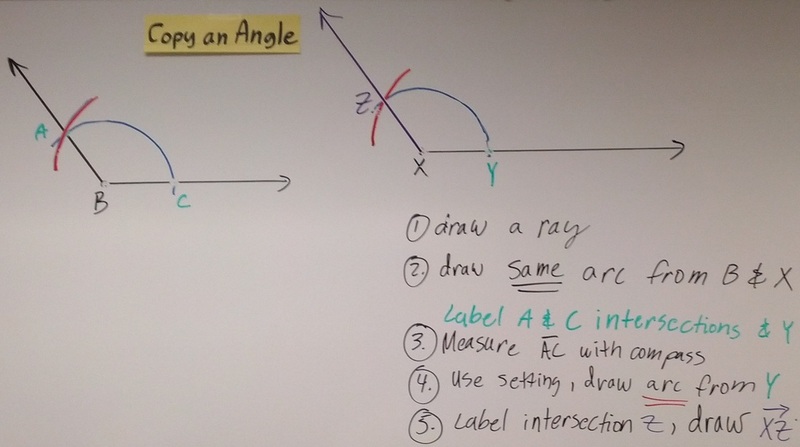 Students know how to construct congruent segments, congruent angles, angle bisectors and perpendicular bisectors. How do you use a compass and a straightedge to make basic constructions? Write down the steps involved to do each of these constructions.